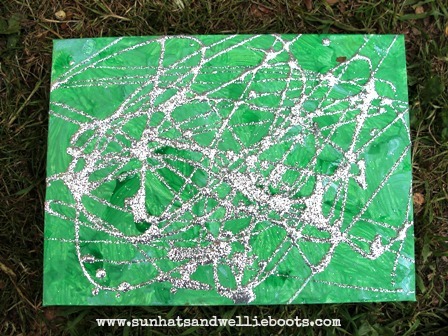 This activity was inspired by our weekend walk through a local forest. 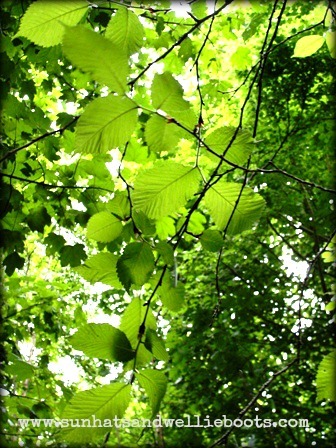 The forest canopy produced a variety of colours & shades which seemed almost luminous in the sunlight. 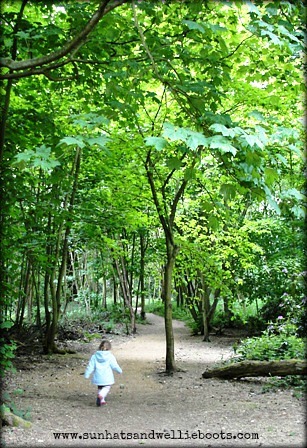 Whilst running around being a lion (!) Minnie noticed something hanging in the trees. 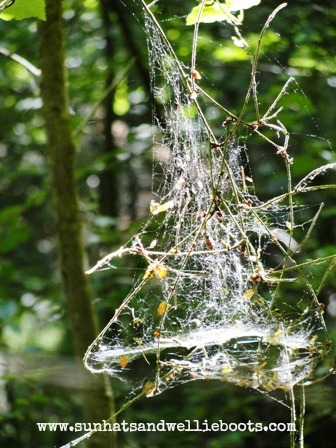 These spider's webs were spun around a cluster of tree branches in this particular area of the forest. 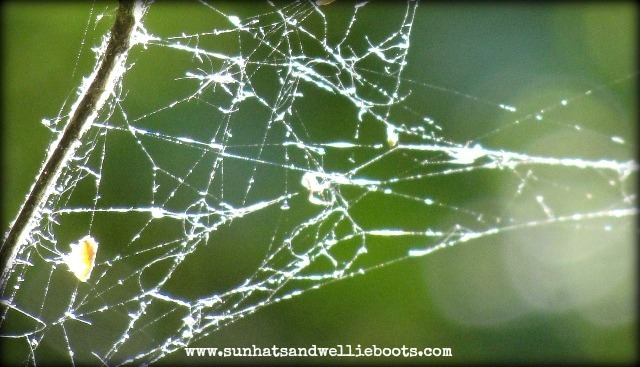 When the sun shone the webs seemed to sparkle as the rays caught the threads. Isn't nature beautiful! 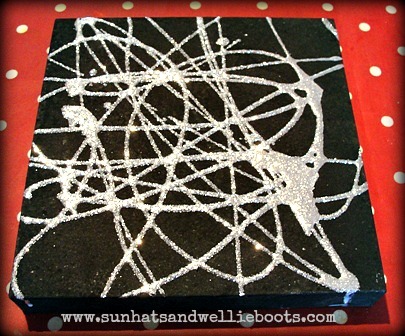 Inspired by our walk we had a go at creating our own spider's web. 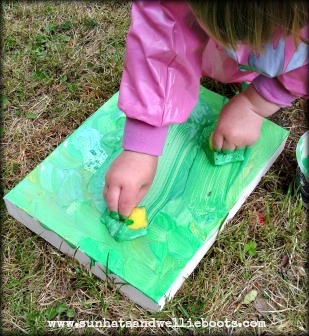 Firstly we talked about the colours of leaves on the trees & Minnie decided which colours of paint she wanted to use. We had another look at the photos we’d taken of the trees & talked about shades of colour, looking at the difference between light, dark etc. Minnie has been keenly noticing & commenting on colours & shades recently. 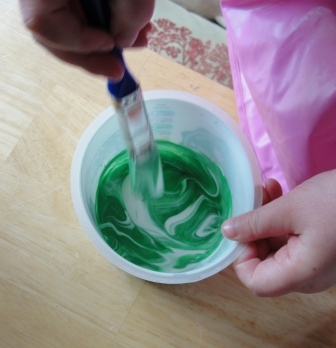 We added lighter/darker colours to Minnie’s chosen paint & she began to mix. 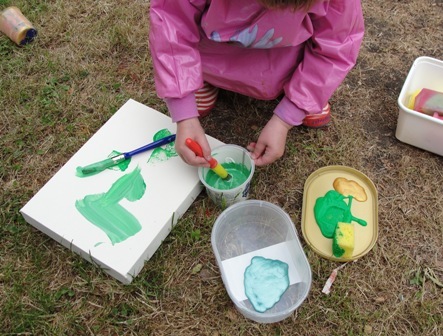 Once Minnie was happy with the paint mix, she set to work on creating her forest canopy picture! I set out a selection of sponges & different sized brushes for her to choose from. 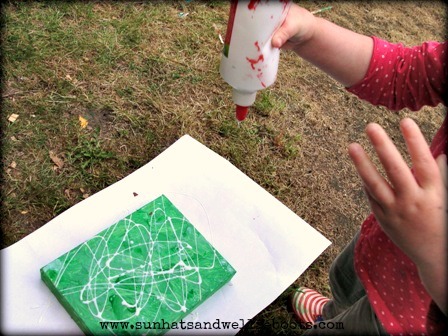 Minnie loves exploring textures when painting, & will always squish the paint through her fingers, paint with her hands, & squeeze the paint from a paint-laden sponge. 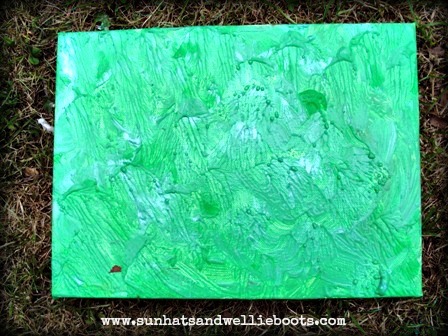 Once Minnie had finished creating her forest canvas we left it to dry for a couple of hours outside. 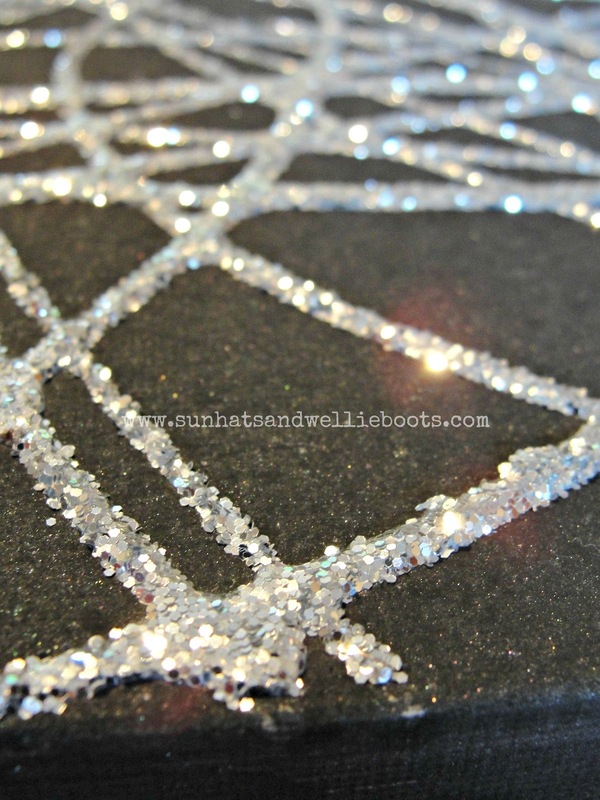 The canvas has to be completely dry before you move onto the next step, when you’ll need some runny PVA glue & glitter. Minnie loved making this web so we created another one, this time with a darker background. 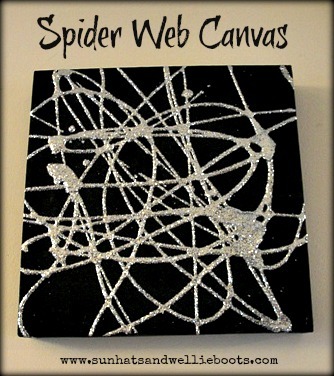 The silver glitter looked fantastic against the black paint, & the runny glue creates a raised pattern on the canvas. 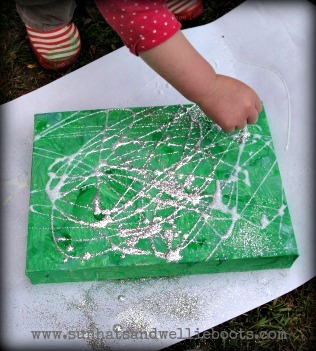 This is a great craft for all ages, little ones will have fun sponging the paint on the canvas & drizzling (splatting) the runny glue! It's also a great opportunity to explore nature, insects & habitats, & discover the colours, patterns & shapes that they offer. Minnie's work of art is now on our kitchen wall, not only does it look great, but it's also a lovely reminder of our family walk through the forest.